The garage is a hive of activity. There are four bike boxes, four SuperX’s in various states of disassembly, wheels upon wheels, and miles of packaging. Garry and I are in the process of packing for five months of racing and traveling through the USA, Japan and Europe. Having done this more times than we could count, we were in perfect synchronization and in less than an hour, four bikes and seven sets of wheels were packed. After a delayed flight, a missed connection, and struggling to get another flight that wasn’t routed through a looming hurricane in the Southern USA. We eventually arrived in Milwaukee, a mere 10 hours later than planned. Exhausted but glad to finally have our feet on the ground. We collect our hire car, knowing we are testing the limits of it’s capacity with our accompanying luggage. Three of the four bike boxes slide perfectly into the back of the Jeep, there is absolutely no room for the fourth box. I contemplate Uber. Garry has a better idea, he rips open the fourth box, takes out the bike and removes the wheels. The wheels just fit in the back, but I wonder where he expects to fit the rest of the bike. It doesn’t take me long to realise. We drive out of the airport with the fourth SuperX perched precariously on my lap. It’s all part of the adventure. For the next two weeks, our home-base in Milwaukee is with our friend Joe. We met Joe during our last trip to the USA, the brother of our friend and old teammate, Jeff Curtes. Not only does Joe open his home to us, but he has some epic adventures planned for us too. He has tickets to a Green Bay Packers Game at Lambeau Stadium, we ride fat bikes on the shores of Lake Michigan, we find secret taco trucks, we go paddle boarding, share stories around a bonfire and explore plenty of unknown roads. The incredible part about traveling is the wonderful friends you meet along the way and the ones you are yet to meet. I’ve been to quite a few Cyclocross World Cups, 15 to be precise. However, Waterloo World Cup is the first time I am going to be pinning a number on a skinsuit and taking to the start line. 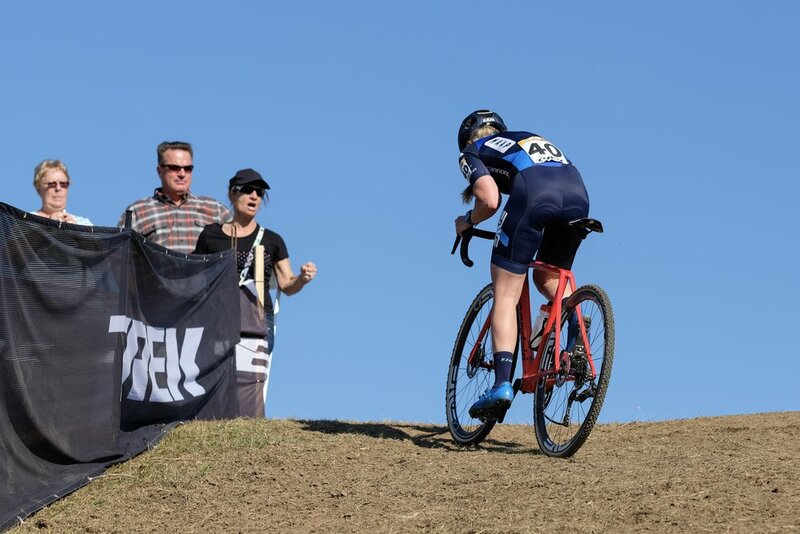 It’s late September in the Midwest and the air is warmer than you would expect it to be, for this time of year and for racing cyclocross. But I am not complaining, a dry course makes life easier. 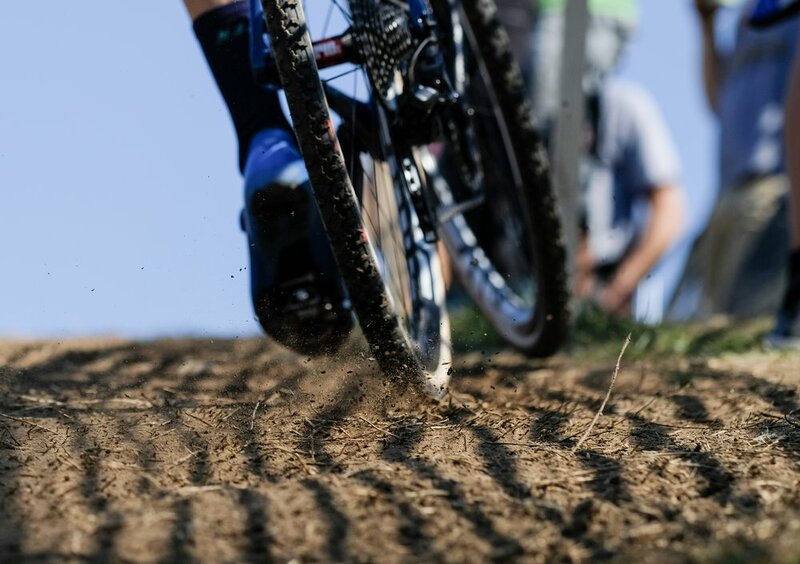 Less clean up after pre-ride, less chance of switching bikes mid race, less clean up at the end. These are the things I think about knowing I don’t have the luxury of a mechanic to hand my bike to once I’m finished pedaling. As we jump out of the truck, I’m hit with the energy of a World Cup. Mechanics are buzzing around bikes, spectators are wandering about hoping to catch a glimpse of their favourite athlete, the loudspeaker booms with updates of the coming races. About to embark on the biggest race of my career, I am feeling surprisingly calm. We hustle to unload our bags and bikes, before a quick lap around the venue. We stop in at various tents to say hi to friends and listen to them lament about how quickly the first race of the season has come about. Garry and I shoot each other a sideways look, we have been racing cyclocross since May, and will continue to race through to February. Such is the life of a Southern Hemisphere cross racer trying to race at the top level. 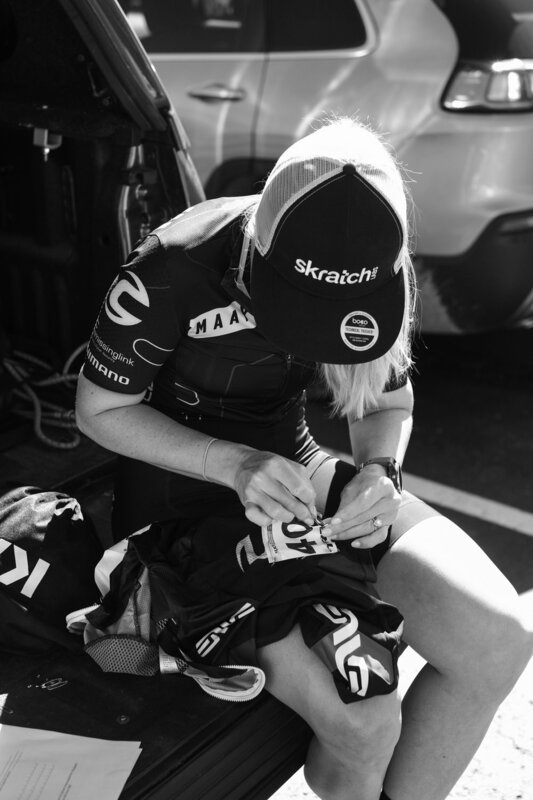 Sitting on the tailgate of Joe's’ truck I pull my kit out of my bag, grab my numbers and start to pin them onto my skinsuit. Suddenly, my hands start to shake uncontrollably and my heart begins to race. I am not feeling quite so calm anymore, but it’s not nerves either. It’s unbridled excitement. Wondering if anyone notices the sudden change in atmosphere that I am feeling, I look up from my skinsuit and gaze around. Everyone is casually chatting, a few people are drinking a beer and enjoying the sunshine. In this moment, I feel completely disconnected from the world. I take a deep breath and close my eyes. The next few hours fly by. A flurry of pre-riding the course, dialing in the bikes and Garry racing the elite men's World Cup; now it’s my turn to race. Before long, I am on the start line, listening to the World Cup heartbeat booming through the speakers and feeling my own heart rate steadily rise. The light turns green and we sprint for the first corner, and the second and the third. The first few laps are a blur of holding wheels, running barriers cleanly and keeping it upright on the dusty off camber sections. Mid-way through the race I start the climb through the forest, pushing hard on the pedal, my legs are stinging with the effort. I round the corner and suddenly there is an uproar from the crowd, they are all yelling my name. Somehow, I get out of the saddle and push even harder on the pedals, the cheering gets louder. I’m not sure how all these people know my name, in the moment I don’t care, I just know its giving me the energy to push harder than I thought possible. In the next few laps I manage to grow the gap to the rider behind and catch two riders in-front. A few hundred meters from starting the final lap, I feel at my physical limit, unsure I have it in me to ride another lap. I can see the commissaire standing in the shade by the 80% area. She is holding a clipboard and looking at her stopwatch. I am almost willing her to step out and pull me from the race. She doesn’t move an inch. from despair to complete ecstasy. I am going to finish my first world cup! The weather is looking ominous all week, with heavy rain soaking the ground and more in the forecast. It was going to be a wet and wild weekend of racing. Arriving in Iowa City on the Friday, we head straight to the venue, keen to check out how wet the course is. For now, it looks to have held up fairly well to the rain, there are some slick sections and some unrideable deep muddy sections. But I know with hundreds of people scheduled to race on the course before tomorrow and more rain due...it could be a whole different ball game. We awake to perfect cyclocross conditions on Saturday, cold and wet. Garry is staring out the window, I can tell he is itching to race. As such he is bounding out the door well ahead of schedule. It’s no longer raining, but I throw a rain jacket on as I head out to check tyre pressures, I decide on low, very low. We roll to the course for the final pre-ride, it’s as expected - chopped up, muddy and some long run sections. I like racing in the mud, but I don’t have a lot of experience doing it. Put that together with racing against a field of the worlds’ best in these conditions, has me feeling some trepidation. I try my best to quell my fears. I manage to watch a few minutes of Garry’s race before I start my warm up, he looks in his element. I want to feel the confidence that he has, I try to harness that energy, even though deep down I know that confidence comes from experience. I figure, fake it till you make it and with less than an hour until I’ll be racing, its the best option I have. Moments before the elite women are called to staging, I feel a big raindrop on my hand, and then another, as the rain starts to steadily fall. I wait under a nearby tree knowing I am one of the last to be called up so there is no point getting wet and cold just yet. I throw my jacket to Garry, take a few deep breaths and wait for the light to turn green. My start is good, actually it’s great. There is a crash on the first corner that I manage to avoid, we hit the first run section and I guess I am in the top 20. There is mud flying everywhere, bikes and bodies jostling for position, but it feels in slow motion. We hit Mt Krumpit, I hold position. A quick downhill, through the sand and then the long climb starts. One rider passes and then another, I recognise their skin suits, I know these women are fast, so I don’t let it bother me that they are flying past. We crest the top and head straight into the off camber switchbacks. It was rideable in practice, but with the rain that is falling it is has become incredibly greasy and is now a run section. I clearly missed the memo on practicing running downhill in ankle deep mud. I am sliding all over the place, I try to grab the fence, I try to use my bike to balance me. None of it helps. Having lost at least ten places, I am finally at the bottom. I jump back on my bike, barely able to clip in I just mash on the pedals trying to get up to speed. The field has spread considerably, I’m not last but I know there aren’t too many behind me at this point. I can feel the extra weight of the mud on my bike, I get a fresh bike and am grateful to have Garry and Jon from Shimano in the pits. The off camber switch backs are looming, I am hoping with less people around me perhaps they will be rideable, I manage to ride one extra switchback which still leaves a long slippery slope to run down. It’s very apparent this is my downfall, as the riders I just passed on the climb were now running straight around me. Half a lap later and I slide out on a corner, I am ok but the crash has caused a mechanical. I limp my bike to the pits and grab a fresh bike. I’ve lost a lot of time, I push myself to sprint out of every corner and ignore the burn in my legs as I crest each climb. I can hear the commentators, Kaitie Keough is leading the race and consistently increasing her lead. Which in turn is decreasing my chance of staying in the race. My time is up. I am pulled from the race before the final lap. I am unsure if that big drop on my cheek is a tear or just another splatter of mud. 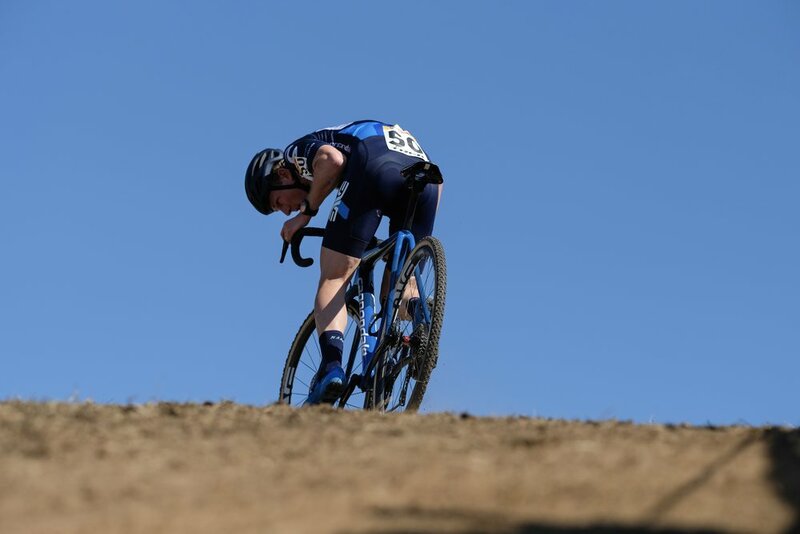 Fiona and Garry continue their USA trip to Boulder, Colorado for some local racing, and some much needed adventure rides outside of the tape. Stay tuned for chapter three!